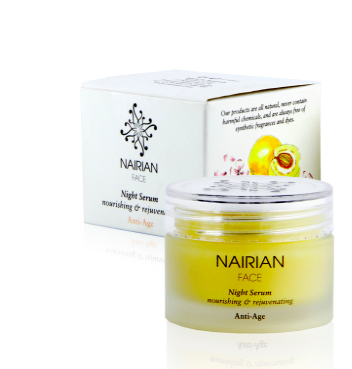 Nairian is Armenia’s first all-natural cosmetics and personal care company. The brand creates products combining the best of nature with the tools of science. The company harvests many of its own sustainably grown herbs used for its products which are formulated in Narian labs. As such, it oversees most products from seed to bottle. It even has its own in-house agronomist and horticulturist. All products are cruelty-free, with the majority of them being vegan. 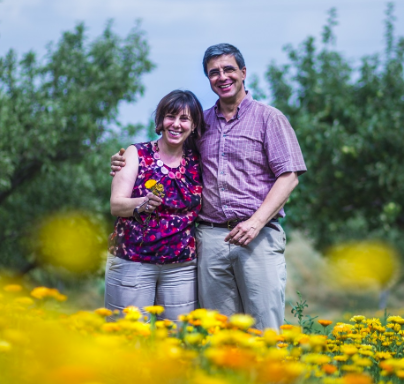 Nairian is founded by a husband and wife team, Ara and Anahit Markosian. Ara is a mathematician and computer programmer by training. Anahit graduated from the radio-physics faculty at Yerevan State University. She spent several years working in the field of laser physics until leaving for the States in the 1990’s. Both had been working in the Silicon Valley in the United States as software developers. The idea for Nairian came to Anahit and Ara Markosian in 2011. After being in the same professions for 25 years the couple started to think differently about how they could shift their focus with an idea closer to heart. Both are originally from Yerevan and had the idea to capitalize on Armenia’s rich natural resources. Ara maintained that the climatic conditions of the Armenian highland were perfect for growing different types of plants. Originally, the concept was to set up a shop for essential oils, an idea that came natural to Anahit since she was trained as a professional aroma therapist at the Tisserand Institute in California. Nairian was born out of the idea of reaping benefit from sustainably farming the Armenian land and Anahit’s essential oils and formulation knowledge. Ara became Co-Founder and CEO and Anahit became Co-Founder and Chief of Research and Development. They put together a team of chemists, horticulturists, cosmetologists, and aromatherapy experts and set to work creating the Nairian lab and five hectare farm in Aragyugh village, in the Kotayk Region of Armenia. Besides the scientific and technical team Nairian supports the Aragyugh community by employing many villagers to work on the farm. Armenia’s highlands are an ideal environment for the growth of thousands of different plant species, so Nairian has access to a variety of potent ingredients. Thanks to the altitude, rich volcanic soil, and abundance of sunlight, this pristine environment yields aromatic, medicinal herbs and flowers rich in phytonutrients and healing essential oils which are used by Nairian to nurture beauty and health. In addition, ingredients such as sodium lauryl sulfate, propylene glycol and plastic microbeads in scrubs are avoided due to their high chance of irritation and their impact on the environment. The company uses Anahit’s knowledge about the properties of essential oils and has it own in-house essential oil distillation process for their extraction. Carrier oils such as apricot kernel oil, pomegranate seed oil, sea buckthorn seed oil and many others are cold-pressed or extracted. More than 50% of the companies ingredients are grown and produced onsite and another 20% are sourced locally within a 100 mile radius of Nairian’s facilities. 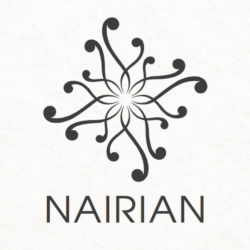 Some tropical essential oils, natural preservatives and emulsifies may be purchased from the U.S.
To date, Nairian has developed more than 60 recipes and markets over 40 types of products based on natural raw materials, including a complete line of face care products as well as hair care and soaps. The company’s most popular products are their Anti-Age Night Serum and Damask rose water-based Toner. It also has a leading Anti-Aging Firming Cream and Eye Cream as well as an anti-acne line.